Ms. Carrington, Ms. Etchison and Ms. Michel work very closely with our students to develop strong relationships and a sense of trust. They strive to make every student feel known and valued — whether that means helping with research, troubleshooting tech, recommending books or just talking about what’s going on in their lives. 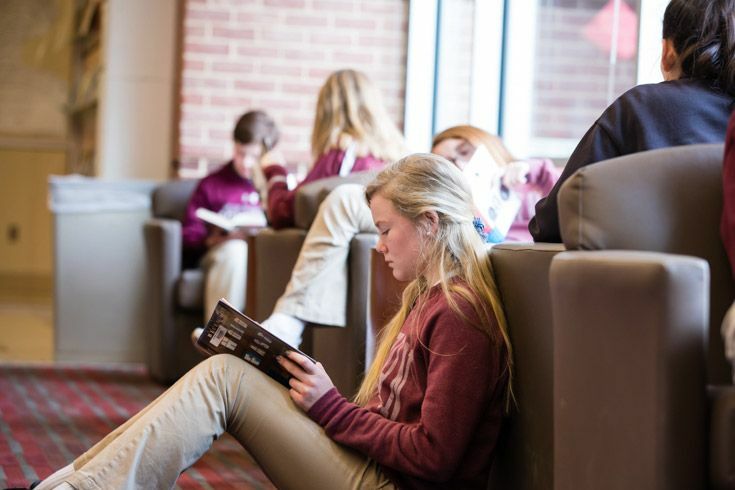 They create unique programs and events to encourage students to engage with reading and books. And they provide a comfortable space for students to express themselves, explore relevant issues and spend time with one another. When they put out a call to help prepare for the Read-In, they had no shortage of volunteers. 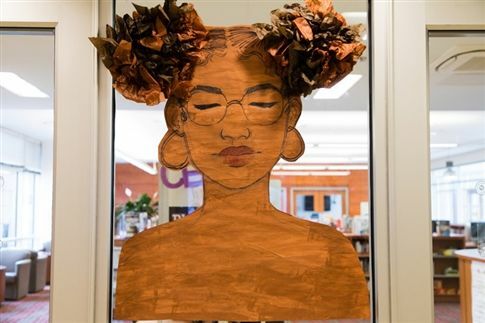 Yeala Grimes ‘21, Kendall Jacobsen ‘19, Chela Cunningham '21, Mo Terry ‘19 and others worked during club times and afterschool to create artwork and select lines of poetry to accompany each visual piece. Middle School students Margaret Cravens ‘23 and Madie Wright '23 created promotional flyers to post around school. And the day before the event, students from both Upper and Middle School volunteered what time they could to put the finishing touches in place. 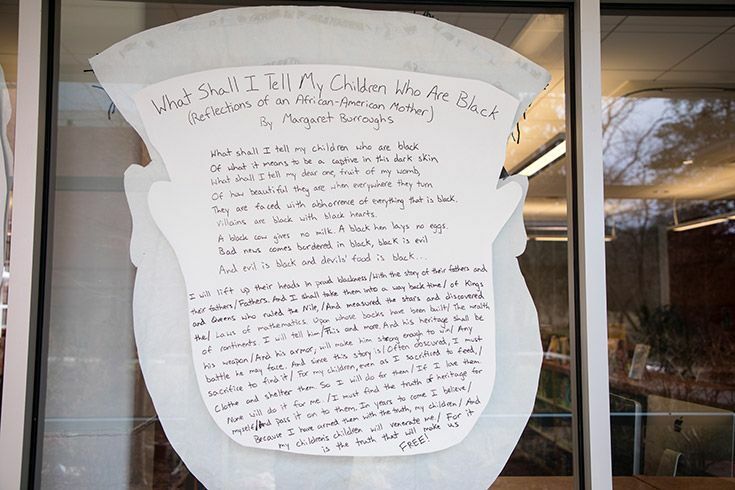 One of several striking, large-scale works of art on display in the library. Poetry written on the reverse side of each piece. 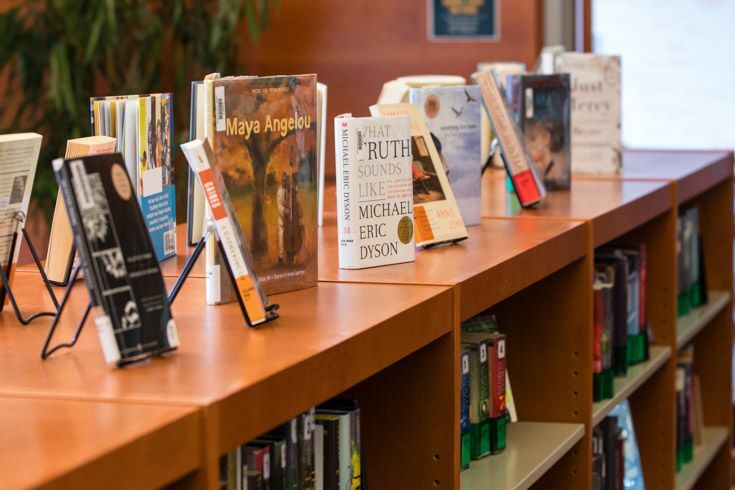 It is part of the Zimmerman Library’s mission to maintain a diverse and growing collection. 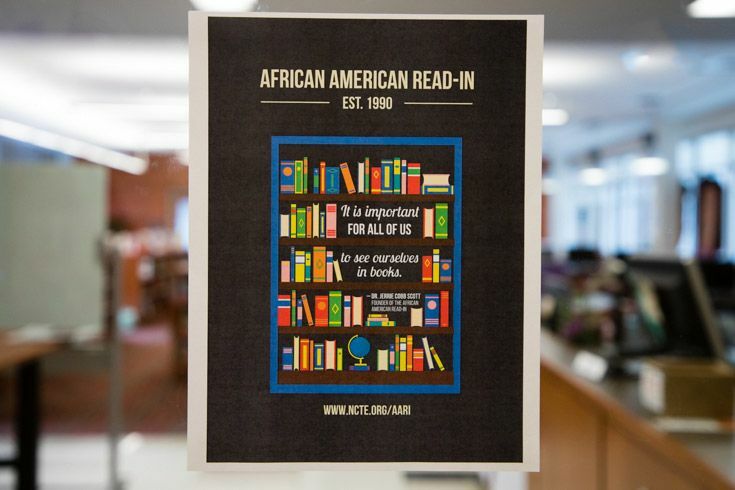 The Read-In was an opportunity to draw attention to one particular lens in that vision. 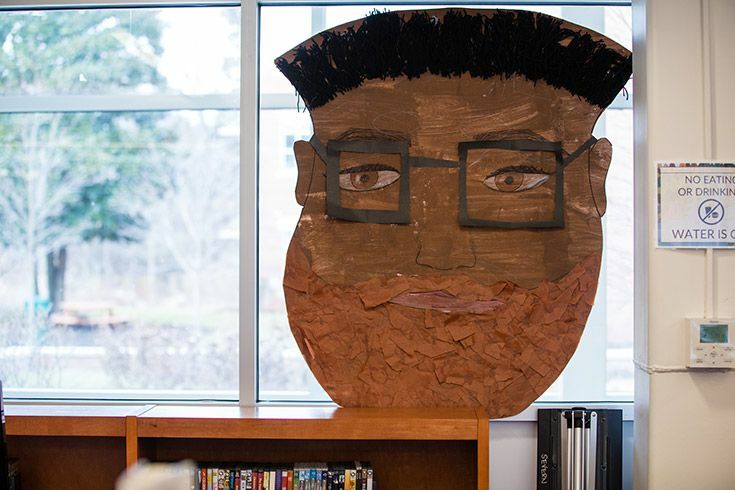 With artwork on display and the sounds of American soul, jazz and R&B playing in the background, it was more than a celebration of these authors. It was a day to immerse ourselves in the art, culture and experiences of African Americans throughout history. In addition to the flow of individual students, several teachers brought their entire classes to read-in. Large-scale artwork at the Read-In.